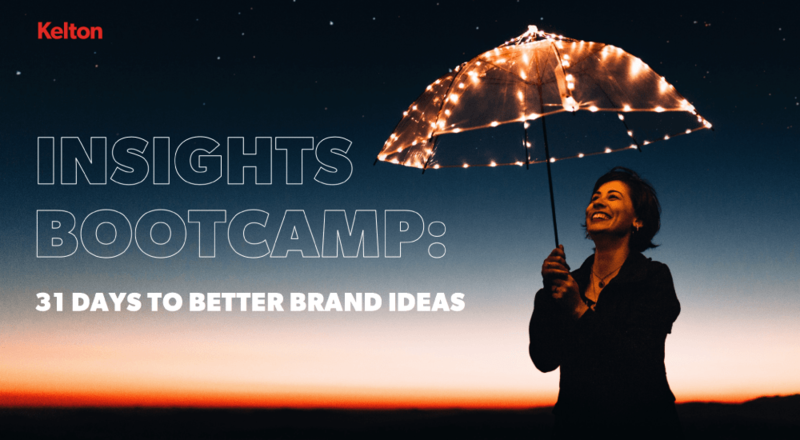 Download our Insights Bootcamp overview to learn how our 31-day process can help your marketing team solve problems and seize opportunities by taking them out of the office and into the real world. Jumpstart a new brand initiative or workstream with a cross-functional team. Get senior executives out of the boardroom and into the lives of their customers. Understand the cultural landscape when expanding into new markets. Familiarize your team with a new customer group. Conduct a deep dive on your target consumers to spark innovative ideas. Why it works (hint: empathy is built in the field. No amount of data is a substitute). An overview of the 31-days and deliverables you can expect. How it works, explore our 3-phase approach. How online anthropology can uncover fresh, authentic consumer opportunities. Ready to get started? Click here to connect with Nicole Brandell, Kelton Partner, Brand and Marketing Strategy, to learn more! Thanks for your interest! Click below to download your Insights Bootcamp presentation.